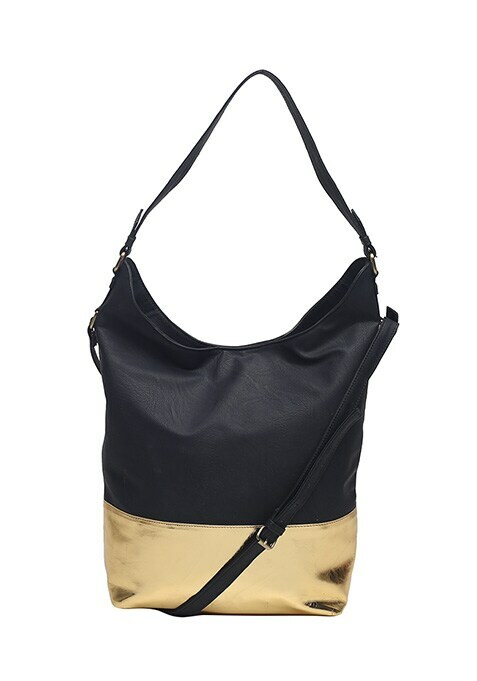 Get your dose of off-duty cool with this super spacious black faux leather slouchy hobo featuring a metallic gold panel at the botton. Shoulder Strap with snap button closure. Work It - Make it your weekend ally wearing casual separates and funky flats.